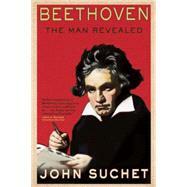 Beethoven scholar and classical radio host John Suchet has had a lifelong, ardent interest in the man and his music. Here, in his first full-length biography, Suchet illuminates the composer’s difficult childhood, his struggle to maintain friendships and romances, his ungovernable temper, his obsessive efforts to control his nephew’s life, and the excruciating decline of his hearing. This absorbing narrative provides a comprehensive account of a momentous life, as it takes the reader on a journey from the composer’s birth in Bonn to his death in Vienna. Chronicling the landmark events in Beethoven's careerfrom his competitive encounters with Mozart to the circumstances surrounding the creation of the well-known Für Elise and Moonlight Sonatathis book enhances understanding of the composer's character, inspiring a deeper appreciation for his work. Beethoven scholarship is constantly evolving, and Suchet draws on the latest research, using rare source material (some of which has never before been published in English) to paint a complete and vivid portrait of the legendary prodigy. John Suchet is recognized as a leading authority on the life and works of Ludwig van Beethoven. This is his first full-length biography of the composer. He presents the morning program on Britain’s Classic FM, and lives in London.